Raising a vegan child can sometimes be difficult. Children are, by nature, picky eaters, and trying to find foods they enjoy can be a challenge. As a vegan, this challenge becomes harder. Being a vegan means that your child is on a strict diet, and finding foods that they enjoy—as well as those that are easy to prepare for their school lunches—can sometimes have us falling into a mundane lunch routine. When a child is constantly eating the same thing day in and day out, they will soon become tired of it, and you’ll find yourself back at square one. But creating vegan lunches does not have to be challenge, thanks in large part to these following five ideas. Pitas are a great alternative to regular salads and sandwiches, and kids love eating them. 1. Spread hummus onto the pita. 2. Add tomato, bell pepper and cucumber to the pita. 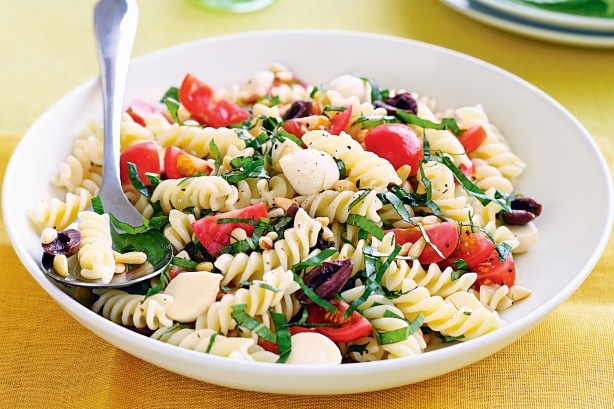 Pasta salad is a great meal for a vegan’s lunchbox. Not only is it tasty, but it will also keep well throughout the day. 2. In a large bowl, combine broccoli, back olives, corn and carrots. 4. Cover with dressing, and thoroughly stir until everything is coated. This delicious salad is full of protein and will keep your child full and satisfied throughout the day. 1. In a small skillet, fry pine nuts until brown. 2. In a large bowl, combine oil, lime juice and cilantro. 3. Add the pine nuts, corn, beans, tomato and cabbage. 4. Stir together until coated. Tofu is a great addition to any vegan diet, and combined with this wrap, it tastes great. 1. Place tofu, snow peas and peppers down the center of the tortilla. 2. Sprinkle your favorite dressing on top. 3. Fold the sides to make a wrap. Sushi is something that easily gets overlooked, but it is a great addition to your child’s lunch rotation. Since store bought is expensive and making your own takes time, the sushi bowls are a more likely idea. 1. Cook rice according to package direction. 2. Place rice in a bowl. 3. Cube tofu, cucumbers, carrots and peppers. Add them to rice bowl. 4. Top the dish off with soy sauce. Jessica Brown is a health specialist. She enjoys blogging about cooking and her favorite recipes using pine nuts.